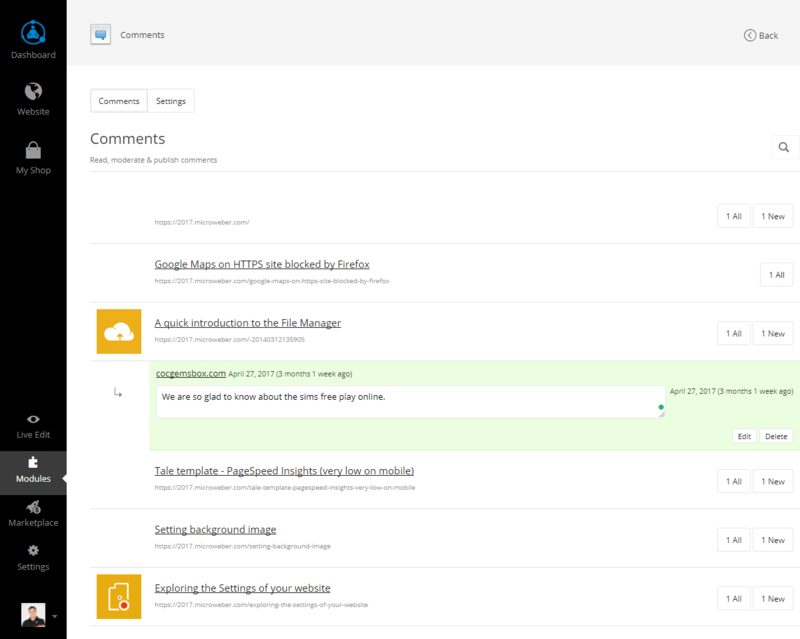 Check, edit and track your comments from the Comments module. 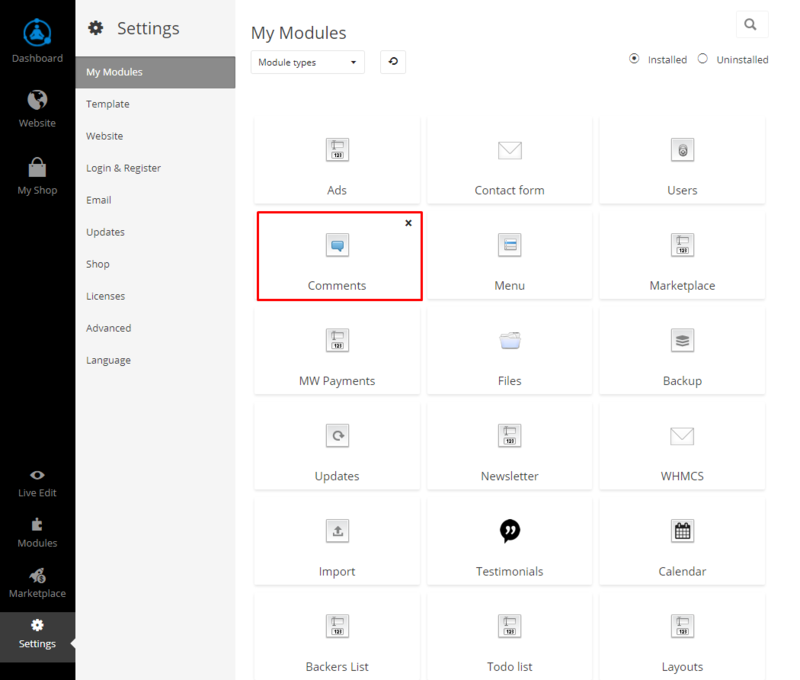 Youy can find your comments module in the dashboard at the bottom of your control panel. If you have new comments they will be red mark with the number of new comments. When you open the comments module, you can edit and moderate it.